The harsh din of my alarm bursts rudely into my dreams and drags me slowly back into the real world. Yes, 15 minutes before my actu­al wake up time, I look to my smart­phone to ground me from my hazy state, and I slowly come-to by catch­ing up with all the glob­al and per­son­al updates that happened overnight. As I scroll down end­less mes­sages, Ins­tagram updates and Face­book noti­fic­a­tions I real­ize that this sen­tence is sup­posed to be relat­able to all of us, who have a priv­ilege of liv­ing in the inform­a­tion tech­no­logy age. Pan­or­amic view of Almaty from the hills of the Kok Tobe. This trans­form­a­tion is truly glob­al; it impacts everything from the dis­rup­tion of tra­di­tion­al indus­tries and cre­ation of new ones to the ques­tion­able imprint of glob­al­iz­a­tion and chan­ging pat­terns of per­son­al inter­ac­tions. In Kaza­kh­stan, these changes not only shape the nature of eco­nomy but also have a sig­ni­fic­ant influ­ence on one’s iden­tity and self-image. Over the past dec­ade, Kaza­kh­stan has wit­nessed a stag­ger­ing increase in Inter­net users from merely 3% in 2005 to more than 55% in 2016. And whilst my grandma is quite an act­ive Face­book user, a major­ity of Inter­net users in Kaza­kh­stan are urb­an mil­len­ni­als loc­ated in two major cit­ies — Almaty and Astana. In fact, the split between rur­al and urb­an areas is so prom­in­ent that while more than 70% of the urb­an pop­u­la­tion has access to the Inter­net, only 45% of the rur­al pop­u­la­tion gets covered by nation­al pro­viders. This issue only high­lights the ever-press­ing prob­lem of an urb­an-rur­al split in Cent­ral Asi­an region. 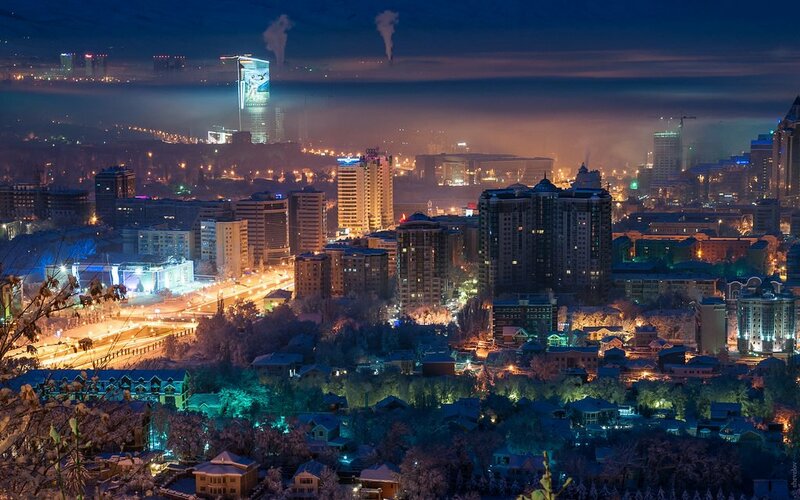 Hav­ing been born and raised in Almaty, the biggest Kaza­kh­stani met­ro­pol­is, I always had a priv­ilege of being sur­roun­ded by clean streets, trendy res­taur­ants and shiny malls. It was only later in life that I have dis­covered the beau­ti­fully con­struc­ted image of my homet­own not to be a full reflec­tion of the nation. For most rur­al Kaza­kh cit­izens; hav­ing access to clean hot water, heat­ing dur­ing winter, edu­ca­tion and health­care is a daily struggle to over­come. Poorly imple­men­ted agri­cul­tur­al policies com­bined with the sud­den col­lapse of the Soviet Uni­on have res­ul­ted in poverty and ill health of its rur­al pop­u­la­tion. Sim­il­arly, lim­ited access to world­wide know­ledge in rur­al regions fosters a pre-exist­ing income inequal­ity and hinders social mobil­ity for the young. On the oth­er hand, while the Kaza­kh health­care sys­tem is col­lapsing with under­paid and over­worked doc­tors and nurses; the inher­ent kind­ness in Kaza­kh cul­ture, com­bined with the age of social media, has cre­ated a unique type of non-profit organ­isa­tion. In essence, these NGOs con­sist of online-oper­ated char­it­ies such as Dara and Kus Zholy, which are provid­ing people with second-hand cloth­ing and food — and have cre­ated crowd-fund­ing pages to help sick chil­dren get access to world-class health­care, along with sup­port­ing chil­dren with spe­cial needs. All this is being made pos­sible because of gen­er­ous dona­tions from com­munity-minded private cit­izens, who often live on the brink of poverty them­selves. This unique gen­er­os­ity is deeply inter­twined with­in Kaza­kh tra­di­tions, but is also influ­enced by Kaza­kh ego and self-image. “Uyat boladi” is a phrase that I, as a Kaza­kh woman, grew up hear­ing on daily basis. This almost always meant the end of a dis­cus­sion. For a for­eign ear this phrase, which is being repeated in each and every single house­hold sev­er­al times per day, sounds harm­less and almost poet­ic. Yet, its trans­la­tion — will be shamed — com­bined with an already self-con­scious nature of social media, serves to cre­ate harm­ful effects. Big­ger expos­ure to Kylie Jen­ner types on Ins­tagram has fuelled a new wave of insec­ur­it­ies faced by Kaza­kh women. Now expec­ted not only to be an example of a mod­est and saint-like bride to all the neigh­bours, the Kaza­kh woman is now forced to become two-dimen­sion­al: her worth is also determ­ined by the num­ber of likes and com­ments she gets on an Ins­tagram post. Being con­stantly pres­sured to be the per­fect Step­ford wife with a per­fect body and per­fect man­ners; young women enter a vicious self-depre­ci­at­ing cycle fuelled by a stream of neg­at­ive com­ments. All the while, they are forever torn by the tug of two polar oppos­ites: the hyper­sexu­al­ised female body, so nor­m­al­ised in the media; and the “Uyat boladi” con­ser­vat­ive and pat­ri­arch­al mind­set. See­ing glor­i­fied West­ern life­style on their feed, young people strive for everything West­ern — from Caucas­oid facial fea­tures right through to the way they dress and speak. Major­ity Muslim, Kaza­kh soci­ety is now under­go­ing a trans­form­a­tion. This comes as no sur­prise to me; adverts, clin­ics, and cases of oper­at­ive adjust­ments — such as double eye­lid plastic sur­ger­ies — are becom­ing omni­present, not just in Kaza­kh­stan, but through­out the East Asi­an region as well. Although harm­ful to the self-esteem of the young, social media has undoubtedly boos­ted Kaza­kh eco­nomy. Accord­ing to CNP Pro­cessing, an inter­na­tion­al busi­ness research firm, the e-com­merce sec­tor of the eco­nomy has gen­er­ated more than $5million in 2010 on advert­ising; while over­all the sec­tor has gen­er­ated $300 mil­lion in sales in 2012, and the fig­ure has been on the rise ever since. Online busi­nesses such as Lam­oda and Choco­life were very quick to spot the untapped poten­tial that a sparsely pop­u­lated and tech-savvy nation prom­ised. Mean­while, a niche of inde­pend­ent online retail­ers mostly oper­ated through Ins­tagram caught onto the wave, and in doing so gen­er­ated jobs and fostered the country’s eco­nomy. As e-com­merce mar­kets grew and online news con­sump­tion became con­ven­tion­al, anoth­er trans­form­a­tion emerged — Kaza­kh­stan developed a prof­it­able blog­ger sphere. Facebook’s live stream­ing allowed inde­pend­ent voices to be heard, while You­Tube provided a legit­im­ate and user-friendly plat­form. One of the most prom­in­ent examples of these inde­pend­ent voices is Yerzhan Rashev — a cre­at­or and host of the Rashev Show and an occa­sion­al live stream­er, who not only freely expresses his opin­ions about the nation’s devel­op­ment but also is expli­cit about cor­rup­tion with­in the branches of gov­ern­ment. He cham­pi­ons for trans­par­ency, a good mor­al code, and self-improve­ment; all delivered in an artic­u­late man­ner that encour­ages dis­cus­sion and fur­ther debate (usu­ally in the com­ment sec­tion). Young­er comedi­ans — teams Yuframe and Joke­asses, high­light import­ant social issues in a more light-hearted man­ner, but yet again encour­age their audi­ence to be bet­ter than the gen­er­a­tion of post-Soviet tur­moil with its pre­ju­dices and “Uyat boladi” mind­set. Social Media is already mak­ing its impact on Kaza­kh­stani self-image as young people are becom­ing more tol­er­ant towards each other’s dif­fer­ences; it also fills them with hope for a bet­ter future by bring­ing the sum of human know­ledge in the world to their fin­ger­tips — and hope­fully by exten­sion help­ing them to learn to think crit­ic­ally. Social media and the Inter­net have just star­ted to pen­et­rate the Kaza­kh mar­ket, and there is a lot of pro­gress to be made in terms of digit­al free­dom and cen­sor­ship of the inform­a­tion. I can’t help but won­der what would the future entail for a young and pro­gress­ive Kaza­kh soci­ety? Would the pro­gress made in the last dec­ade and the kind inher­ent in Kaza­kh cul­ture be enough to cre­ate a mod­ern, demo­crat­ic and open-minded soci­ety — or would social media con­tin­ue to harm self-esteem of the young while also widen­ing the eco­nom­ic inequal­ity between urb­an-rur­al pop­u­la­tions? Yet again, Kaza­kh­stan is at the cross­roads. The ques­tion is: what path will the nation choose to take?